Senior railway official Sanjive Roy has been appointed as the new General Manager of Northeast Frontier Railway. Roy, a 1981 batch officer of the Indian Railway Service of Engineers (IRSE), took charge of the office on March 6, a statement issued here by NF Railway said on Thursday. Roy completed M Tech in Structural Engineering from IIT, Kanpur after completing BE (Civil) from University of Roorkee now IIT, Roorkee. He has undergone Management training in HEC School of Management, Paris; HAG level training at University of Pittsburgh, USA apart from participating in various other courses in IIPA, New Delhi, IRICEN, Pune & RSC Vadodra. Roy has worked in various capacities in many zonal railways like Northern Railway, New Delhi, Railway Design & Standard Organization, Lucknow and Northeast Frontier Railway, Guwahati. During his tenure as Chief Engineer/Construction of Northeast Frontier Railway; the entire New Jalpaiguri – New Bongaigaon (280 Km) Gauge Conversion work was completed with opening of 182 km section in one go. He has also worked as DRM of Secunderabad and Chief Administrative Officer of North Eastern Railway. As Chief Track Engineer of North Central Railway he had the satisfaction of completing required works for running of the Gatiman Express at 160 kmph in short time. 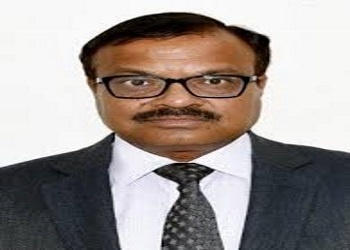 Prior to joining as General Manager, he was working as the Principal Chief Engineer of North Central Railway, Allahabad.